Monday May 7th was a bright clear spring day and the cloudless conditions continued well into the early evening. At twilight around 9pm Venus was visible in the west near to the setting sun just as Jupiter was rising in the south-east. 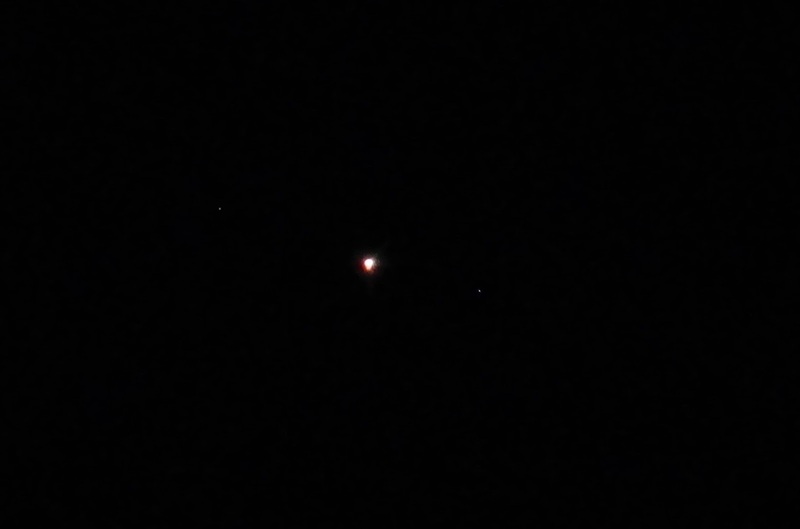 I used my DIY Schiefspiegler telescope to observe both planets and my Canon Ixus 160 to capture the images. Venus was a visible bright burning sphere. According to the guide at www.skymarvels.com Venus was 90% illuminated on May 7th with a 10% dark crescent on the left had side. Here is another image of Venus in the mirror of the Schiefspeigler telescope. Its much easier to use than the Digges-Bourne telescope as it faces forwards and also it has a much better field of view, In addition being constructed from a flat based wooden sheet its easy to rest the Schiefspiegler telescope on a car roof or fence post. The cylindrical Digges-Bourne telescope is much more difficult to rest on flat surfaces and is usually hand held which introduces wobble. 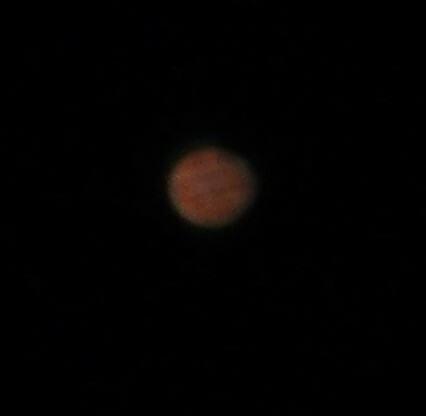 Next I turned to the South-east and lined up Jupiter. 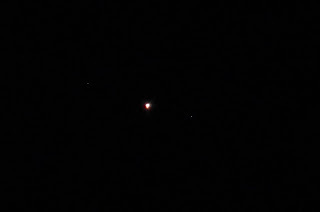 By overexposing Jupiter I managed to capture two of the Jovian moons. 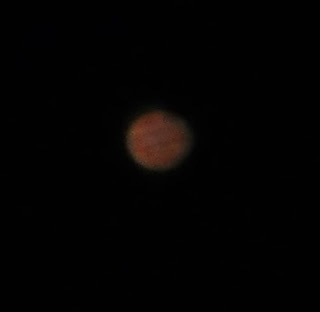 Next by zooming in on Jupiter I was able to capture its reddish colour and some detail of the planetary bands can be clearly seen. Unfortunately the Moon did not rise until after midnight by which time the sky had clouded over and viewing conditions were less then optimum. Capturing the Moon with the Schiefspiegler will be my next objective.